Is there a case for compulsory shotgun training? There has traditionally been fierce resistance to the idea of compulsory shotgun training and testing in this country. One can understand why too. There is a feeling, quite broadly held within the shooting community, that compulsory shotgun training might be taken over by a lot of jobsworths, that it would increase central control and, not least, that it would be ineffective. Our voluntary system has worked pretty well over the years. When people need putting straight – as must happen on occasion – there is usually not too much reluctance to do so in the field. Although there is compulsory shotgun training on the continent it has not led to fewer accidents. 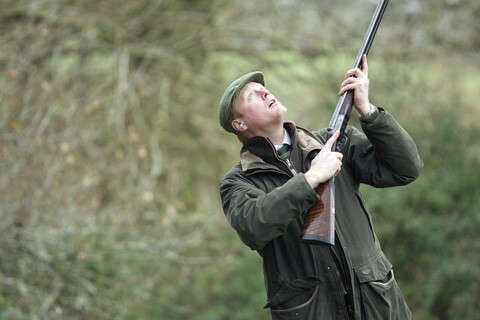 In the UK, we also see more and more people coming into shooting via professional shooting grounds, or, through introductory courses put on by organisations like BASC. Safety is very high on the agenda. However, once every 10 to 15 years some fool with a shotgun nearly succeeds in shooting me and I am not referring to those far more frequent occasions when people swing down the line etc. I am talking about the heart pounding incidents – still etched deep in memory – when one walks away with one’s life having very nearly lost it. Let me give some graphic examples from personal experience. A horror story comes first. An individual suffering from some sort of sudden, inexplicable brain fade once turned towards me on a commercial clay ground. He was on a sporting stand with a loaded gun, safety off, and ready to shoot. He turned. Why? Who knows. His finger was on the trigger, there was a far-away look in his eyes, and he was visibly shaking with a bead of sweat trickling down his forehead. I couldn’t grab the gun, the sudden movement might have brought about my equally sudden demise. The muzzles were about a foot from my chest. I left the ground because the organisers would not throw him off it. On another occasion someone blew a hole in the ground next to my right foot on a trap shooting layout. I have had a couple of equally nasty experiences in the game field. Simple things like ensuring you keep your finger off the trigger until the last moment may seem obvious, but would a compulsory training course ensure more people stick to the golden rules? Once a farmer appeared out of a wood which we had been walking through with a gun levelled horizontally, finger on trigger, safety off again, and loaded up with heavy shot. He was struggling to get through the cover, crouching down, pushing branches and foliage out of the way with his loaded gun. I became aware it was pointing directly at me once I had exited the wood before him at a range of about four feet. He was grinning inanely as well – the last straw! He broke his gun once he had exited the wood and negotiated the obstacle. I got the impression that he was ‘beyond repair,’ when I pulled him up. This makes the point, though, that it is not only the inexperienced who are a potential hazard. On the contrary, one often finds, inexperienced shots who have been to the likes of West London Shooting School or Holland & Holland Shooting Ground are the most safety conscious of all. As discussed I don’t believe compulsory shotgun training is the answer but I have an idea which I think might work. Everyone who applies for a new shotgun or firearm certificate or a renewal should attend a safety briefing course, and be given a booklet with matching DVD on basic firearms handling. There would be no test to pass. Only attendance would be compulsory. I would set the course duration at about half a day. There would be presentations on safety and basic firearms handling. It might take place at a shooting ground, so attendees could be given some idea of issues such as eye dominance, gunfit and basic marksmanship as well. Such a course would take considerable setting up and would probably have to be funded my levying a modest fee. But it would be interesting to all, and might prevent people falling through the net with regard to safety and certain other basic issues. I still meet many shooters who are insufficiently aware of basic safety. One only has to visit the car park of any shoot to note this. I have lost count of how many ‘unloaded’ guns I have seen being pointed carelessly in this scenario as they come out of slips or cases. I would make a safety video available online too. Some may say this would achieve little but if it saves a single life or prevents a few serious mishaps each year it would be well worth it. BASC, which has had some flak recently on other issues, has always made its opposition to compulsory shotgun training clear and this was confirmed in the research for this article. But, they and several other organisations would be well positioned to deliver such an educational package. I undertook the BASC Safe Shot course for interest recently and thought it sensible and useful. Rules and courses will never be enough with regard to shotgun safety. Never point a gun at something you are unwilling to kill; treat all guns as loaded. Check that a gun is unloaded and unobstructed every time you pick it up, put it down or pass it on. Unload a gun before negotiating any obstacle. Keep the safety on and your finger away from the trigger until you are about to mount a gun at a safe and licit mark.